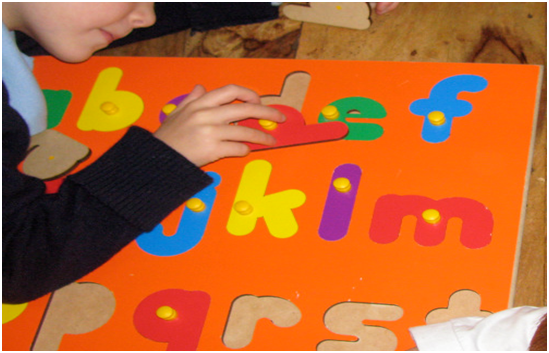 Again, the whiteboard can be useful for getting your child to recognise and write letters from the alphabet. There are so many entertaining resources available to make learning fun, from electronic toys to cartoons on television. Don’t worry if they don’t know the whole alphabet but getting them used to the sounds and practising saying and writing them will give them a great start when they go to school. One of the hardest lessons is teaching a child the need for sharing and getting on well with others. Try to encourage socialisation from a young age and congratulate them whenever they share a toy. A child will fare much better if they have an understanding of how other’s may feel. Selfish and unkind children won’t be popular, so encourage your child to show empathy and the difference between right and wrong. It’s often quicker, easier and less messy when we do this for our children, but in the long run we’re not doing them any favours. A teacher will be too busy to show this level of attention to each child, so a minimum requirement would be for a child to know how to feed themselves and get changed. Most young children have a short attention span, but at school they will often be expected to focus on one task and not get distracted. A good idea is to introduce them to painting, which a great activity for learning the skill of concentration. Basic counting from 1 to 10 and backwards is ideal for starting reception. You could also introduce them to the concept of answering number based questions. Play counting games in the car or the supermarket. While eating dinner, ask them how many potatoes will be left if they eat two more for example. Your child probably doesn’t need any encouragement to get active, but if they seem reluctant, try to get them out and about at the local park, soft play or swimming for example. This will help them to take PE in their stride when they start school. It’s important to talk to your child about the difference between healthy and unhealthy food. There is much emphasis in this in schools now, so it will benefit your child both physically and educationally. Let them get involved in family cooking and help them to make decisions about what to eat. This will give them the tools they need to be creative and knowledgeable about food from a young age.